Upgraded version of the Cyrus One integrated + Linear Speakers swapping the standard amplifier with the Cyrus One HD with 32-bit DAC. This package combines the Cyrus One Integrated Amplifier and Linear One Speakers to create a perfectly harmonious duo. 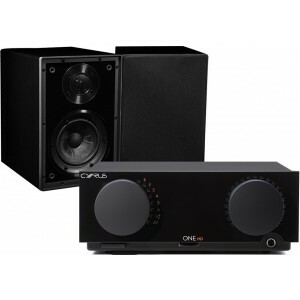 Cyrus One Linear Speakers is a premium loudspeaker system which is designed to perfectly augment the Cyrus One amplifier. A loudspeaker can only be truly perfected if the amplifier system that is driving it is known. In this case, the One linear has been optimised for use with our own hybrid Class D amplifier topologies. Cyrus One HD Integrated Stereo Amplifier with a DAC is a significant evolution of Cyrus's award-winning amplifier, which makes it a High Resolution integrated stereo amplifier with the possibility to connect it to a television, computer, console. it is pretty universal and is capable of connecting directly to whichever source that requires astonishing sound quality. 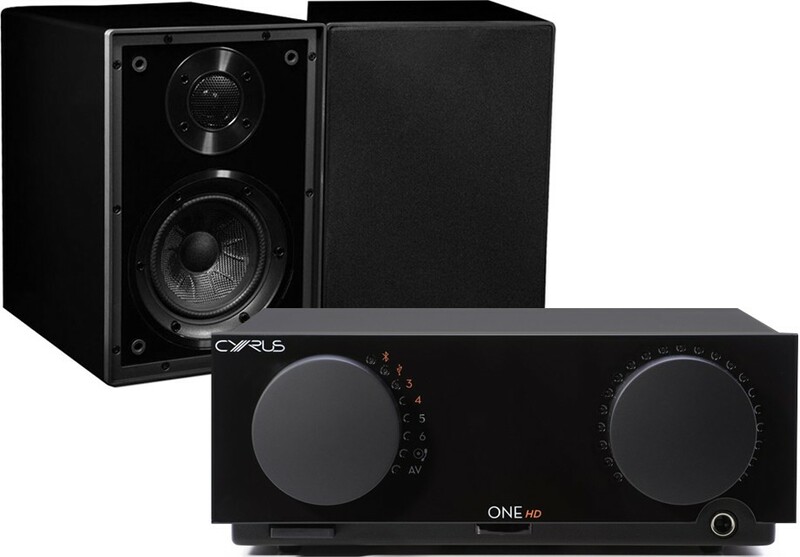 For more information about the amplifier, please visit our main Cyrus One HD page. For more information about the speakers, please visit our main Cyrus Linear page.